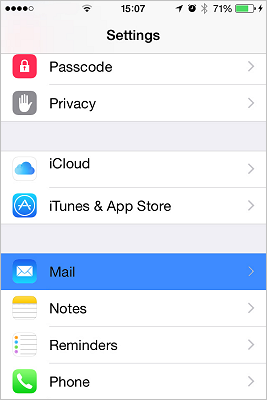 These instructions are for the iOS Native Email App only. 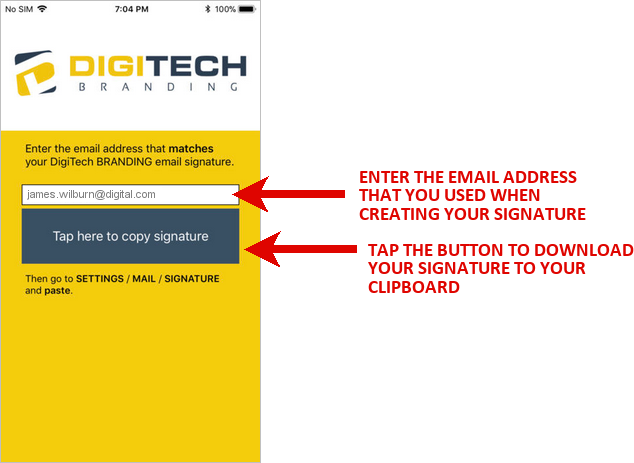 The Outlook Email App does not support the use of HTML email signatures. 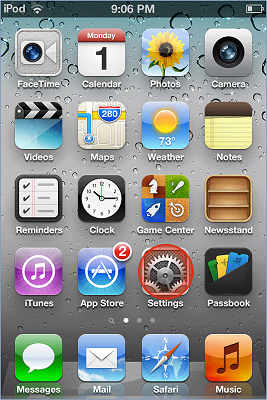 Next, scroll down to “Signature” then tap to open the Signature window. 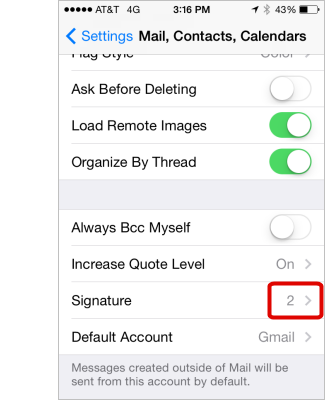 Note: If you have more than one email account set up you will see the number of accounts to the right of “signature” - 2 in this case. 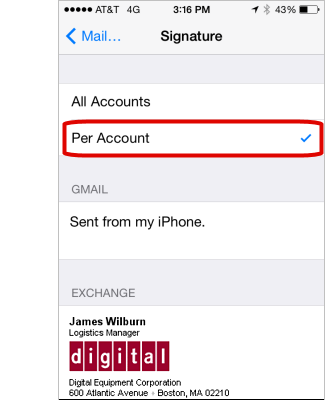 If you have multiple accounts, you need to select “Per Account” so that you can apply the new signature to your business email account only. 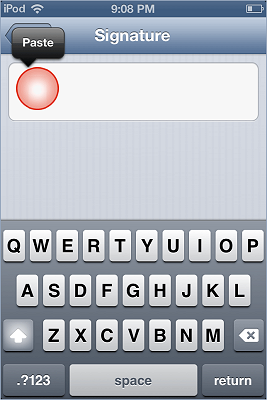 Hold your finger (or double tap) in the white edit window until the “Paste” prompt appears. Tap the “Paste” prompt. 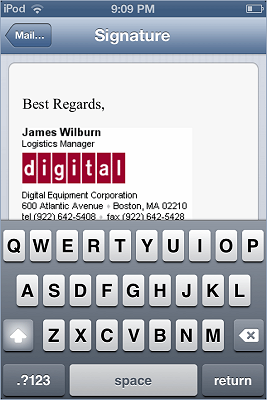 Your signature will appear, properly formatted, in the Signature window. Tap out of Settings. 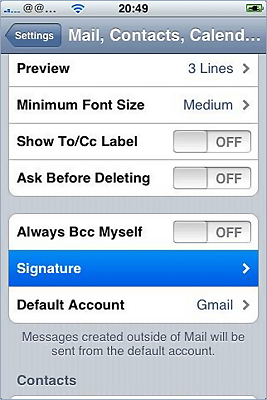 Your signature will be saved automatically. 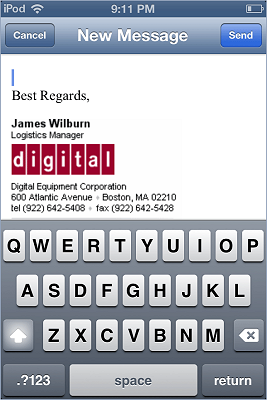 Your email signature will now automatically appear when you go to compose or reply to a message.